On the surface, rents, when averaged out across the US, still rose in October, though way slower than during the landlord’s golden days, with one-bedroom median asking rent up 1.5% year-over-year and two-bedroom rent up 2.5%, according to Zumper’s Rent Report. 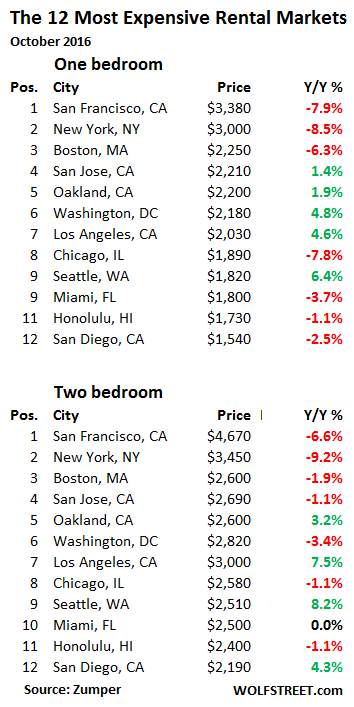 Among the top ten rental markets, we saw declines in both of the most expensive markets, San Francisco and New York, a trend that continued from last month, and half of the twenty priciest saw falling rents, including cities like San Diego, and Miami, and Honolulu. The market for two bedroom apartments seems to be slowing down even faster, as prices fell in nearly 60% of rental markets. But not because the economy has tanked in the most ludicrously expensive rental market in the US, which it has not. Enormous supply is flooding the market, thanks to a historic construction boom not only of apartment towers but also of condo towers, whose investor-owned units, now that selling them has become tough, are appearing on the rental market. Nearly all of the new supply is high end, and it is pressuring the market from the top down. The median asking rent – half are lower, half are higher – for a one-bedroom apartment fell 7.9% year-over-year to $3,380, according to Zumper, which analyzes rental data from over 1 million active rental listings in multi-family buildings (it does not include single-family houses on the rental market). For a two-bedroom, asking rent fell 6.6% year-over-year to $4,670. The fourth month in a row of year-over-year declines. The last time rents declined year-over-year was in April 2010. In October 2015, the median rent for a two-bedroom had soared 11% year-over-year to a famously ludicrous $5,000, according to Zumper. Double-digit rent increases had been common. Hence the local term for this situation: “the San Francisco Housing Crisis,” when teachers cannot afford to rent a median one-bedroom apartment in the city. Even now, rent of $4,670 a month for a median two-bedroom works out to be about $56,000 a year, nearly the median annual household income in the US. Even in San Francisco, not all that many households can afford those kinds of rents. Hence an affordability problem that is turning into a demand problem. And the supply keeps surging. Similar dynamics on a larger scale are playing out in New York. In October, the median asking rent of one-bedroom apartments fell 8.5% year-over-year to $3,000; the median asking rent of two-bedroom apartments plunged 9.2% to $3,450! An onslaught of new supply in form of high-end apartment and condo towers is pressuring everything below. On October 31, Zillow listed 26,199 apartments for rent in the five boroughs of New York City, up 3% from September (25,432 units). And not just in San Francisco and New York. Note in the chart that Seattle and Los Angeles (along with many other cities in the US) have not yet gotten the memo about declining rents. 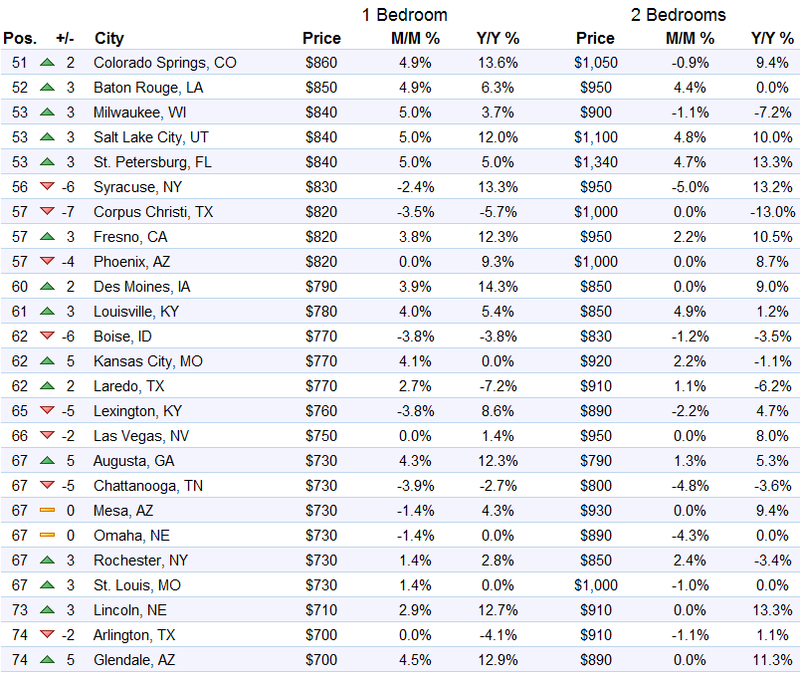 But Chicago is one of the big movers with one-bedroom rents falling 7.8% year-over-year. This comes on top of the suddenly breathless high-end condo market [read… Is Chicago’s Housing Market Next?]. So landlords are piling on the concessions. One sign of a moderating apartment market is an increase in lease concessions. 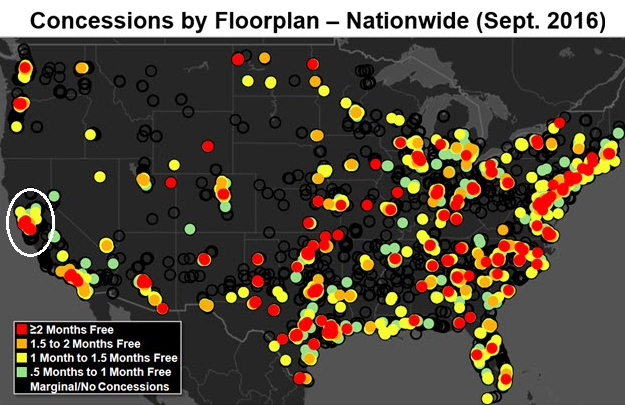 And in many markets – especially those experiencing steep declines – owners of lease-up properties are offering potential residents up to two months’ free rent to boost their occupancy. What this means in dollars: For example, the median asking rent of a two-bedroom in San Francisco in October last year was $5,000 a month, or $60,000 a year with no incentives on the horizon. Now it’s $4,670 a month, or $56,040 a year. So down $3,960 a year. If the landlord also has to give away two months free rent in order to stuff a live body into the unit, effective rent for the first year comes out to $46,700. That’s still a huge amount of money for just rent, but in this example, it’s down 22% in one year! Hence the word “plunge” for effective rents. At this rate, none of the razor-thin capitalization rates landlords used a year ago to bamboozle creditors into lending them money make sense anymore. Vacant units make their plight worse. Creditors are getting nervous. But the renting folk, after having their lifeblood squeezed out of them over the past years, will have the option of moving again a year later, with lots of apartments to choose from – or commence tough negotiations with the landlord – to get a better deal in this new phase of Housing Bubble 2.
you’re screaming sweet nothings into my ear!!!! HI was in your lists, but not in your maps. I’m sure the data is available, and it would nice to see all 50 states. Sometimes I wonder the insanity that compels someone to pay 3000 plus for a single bedroom rent. The mind is its own place, and in itself, can make a hell of heaven, a heaven of hell. Like all animals, humans have an existential requirement to reproduce, and to that end even the finest human rationality is necessarily subvertable to the compulsion to procreate. From there any irrationality and any rationalization becomes possible, so that even the seemingly sanest and smartest person can be induced, internally or externally, to pursue any manner or combination of suboptimal, reckless, and self-destructive behaviors: addiction, altruism, religion, war. It is in your nature, because it has to be. That ability to recreate yourselves also entails the ability to destroy yourselves, and you will find a way. I’m surprised Orange Co, CA – population 3.1 million – isn’t shown separately. Rents are considerably higher than LA Co, and both are still increasing because of low vacancy rates. I honestly wonder how long the game will be playable. I still have relatives in Miami-Dade. They told me there are presently 10,000 condos under construction east of the I-75 with delivery scheduled in 2017 and 2018, plus a further 6,000 condos already planned and authorized but whose construction hasn’t started yet. As a mean of comparison between 2011 and 2016 only 5,000 condos were built in the same area. These data are perfectly coherent with those presented here on Wolf Street a few weeks back but I’ll add another twist to the story: in the same market 54% of sales are cash only! By contrast no US West Coast market has more than 25% sales in cash. Of course everybody blames “foreign investors”, especially from Brazil, who are desperate to get their savings out of the country before they are turned into piles of Monopoly money. The uncertainty that a new US administration may prove far less amenable to foreign buyers is accelerating the phenomen. But still one has to wonder at the dynamics: those 10,000 units coming online over the next two years may not crush prices, but will surely crush rents. As I lived in Miami-Dade I still remember how insanely high property taxes and junk fees were, especially for non-residents, like most cash buyers appear to be. Throw in maintenance, which in South Florida doesn’t rhyme with “cheap”, and you are looking at a rather high maintenance investment. So what do you do? You try renting out your place to at least pay the bills. I take things will not be any different this time, at least once those absentee landlords will start getting letters from Miami-Dade authorities. After reading this article I looked up some of the single family home renters in south FL. One of them has changed their name three times in one year. That is never a good sign. A quick look at their financials shows no profit but they paid a dividend. In the old days, when reality still existed, they called that a liquidation. If they didn’t make the money from the rents, they paid the dividend from borrowed money. When average people do that they are accused of living on their credit cards. The prices are going up because of inflation. The prices of the houses, rent, education, healthcare go up because hyperinflation is already here. They also go up because of socialistic government regulations and lack of free market. If the rent is going down, that means something else is going up in prices. In the future I think here will be much more increase in prices, because people still don’t get that hyperinflation is around for quite some time. I picked up some pasta in the market because it was priced at 79 cents. The sale price for a pound is usually 99 cents. When I checked the weight it was nine ounces, not a pound. They are selling you 25% percent less and charging you 5% more. Everything in the supermarket is like that now. I bought some Halloween candy the other day … and low & behold … the KitKat mini morseles were tiny .. not mini …with the little plastic pouch sooo ‘inflated’ you could hardly feel the candy inside ! Wasteful oversupply is what happens when supply is not motivated by demand, but is instead motivated by money that needs a place to go, even if there is no demand. Excessive capital resorts to wasteful makework, and it becomes excessive when it undermines the generation of demand. It demonstrates why ‘supply-side economics’ is fundamentally flawed and economically destructive. In the absence of any unmet demand, and any means to generate demand, that ‘build it and they will come’ approach really only works in fiction. Greedy landlords have priced themselves out of the market. All in the name of chasing yield. Keep a close eye on the CMBS (commercial mortgage backed securities) derivatives. The bottom tier tranches are now drying up and the drought is expanding upwards. yes, cap rates do seem…..low. and it’s at the toppy, not the troughy. Another well researched article – thanks. With your investigative skills and contacts, how about finding out/confirming where the financing of all of these apartments if coming from. I think once that is known, we’ll know why they continue to keep being built. Many of the REITs in Florida are listed on the exchanges and raise money by selling bonds and commercial paper. They look like good investments because they pay a dividend, but I would look a lot closer at where those dividends are coming from. Lets see now…rents doubled last year in many places, most up by 50%. About the same 50% the year before. So that $1200 apartment three years ago, is now about 3000 less this ‘collapse’ in rental rate of say 10% means that apartment is 2700 a month now. Wake me when they are down 50% and stay there for more than a few months. For many sleeping in a car at Walmart is still working out OK. In Venezuela maybe. But not in the US. You are comparing after tax payments with pre-tax incomes. What I would recommend is taking your $56k, and dividing it by .8, a reasonable way to get to a pre-tax income (@ avg tax rate of 20%) of $70,000 a year. And since rent really should be a third of your income, and in most expensive cities, as much as 60%, you are looking at a range of incomes for renters that is likely to be about $116k to $140k. To survive at all, you’d need roommates or without, need $100k to be paycheck to paycheck and building credit card debt. Even renting at the top of those ranges is enough to force people out, because it’s not generally good for your long-term financial health. Great points. It speaks volumes about the insanity in the rental markets at present. Add in Obamacare inflation and USA upper-middle class is already wiped out with high taxes, high rents and high premiums. I don’t think that using “teachers” as the litmus test for affordability is valid. Teacher salaries at SFUSD are available at Transparent California. Average teacher pay is $110k for 184 day contract excluding “additional pay” or “overtime”. Add in a part time job for the other 181 days and they could easily earn $150k plus. There are literally hundreds of jobs with SFUSD that earn over $150k (up to $350k) for a 184 day contract. In addition 72% of SF’s apartments are subject to rent control which, along with NIMBYism created the “affordability” crisis. Many existing teachers are beneficiaries of this rent control give away. You could make the point that NEWLY HIRED teachers with salaries and benefits of $90k for a 184 day contract would have to cohabitate to afford a 2br median apartment or have a second, part time job to fill their free 181 days to afford such an apartment. But is the “median” priced apartment the relevant measure for a newly hired 24 year old teacher? This is misleading in a City where top end apartment rents include some of the most desirable real estate in the world. The only units showing up in this survey are those currently available: the very expensive newly built ones and those not subject to rent control which skew the median higher than the average. The reason NY and SF are the highest median asking rent cities is that both are subject to horrible rent control schemes. Average teacher pay in CA is $69k/year, not $110k, which helps explain why most CA teachers struggle to make ends meet. It’s contradictory to suppose that holding rents down causes rents to go up. Excuse me for saying, but your ‘facts’ suffer from a certain lack of reality. You are citing California State teacher salaries, I am referring to SFUSD salaries. The article states that San Francisco teachers can’t afford the median SFrent not that California teachers can’t afford SF’s median rent. Research rent control economics and you will understand how rent control increases rents. If 72% of a city’s rental stock is not market rate driven by a scheme such as rent control then, at any given time, only 28% are truly market priced. Here is little primer for you. Next you’ll be arguing that emptying a bucket fills it up, that here is there and high is low. Some of us are not susceptible to gaslighting. Sorry. If you want to live in denial that is fine. Did you read the article from the Economist that I attached? I thought not. It quotes Paul Krugman, liberal economist, who among many other esteemed economists support my point. Almost no economists support rent control, not because people don’t deserve dignity in housing but because it causes a distortion in rents. It is a political construct to make voters feel good. Free markets work and manipulated markets don’t. Readers here are willing to accept that interest rate manipulation by the ECB, BOJ, and China, US bailouts of banks and GM are wrong but manipulation of rents by City Hall is right. Talk about inconsistent. Median rent on all occupied apartments is one number. 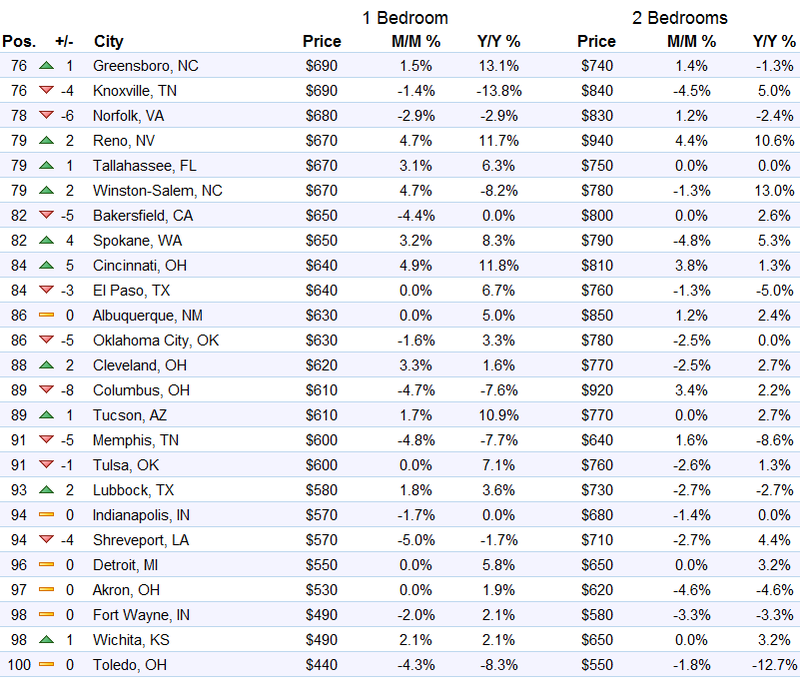 Median rent on currently available (vacant) apartments is another. 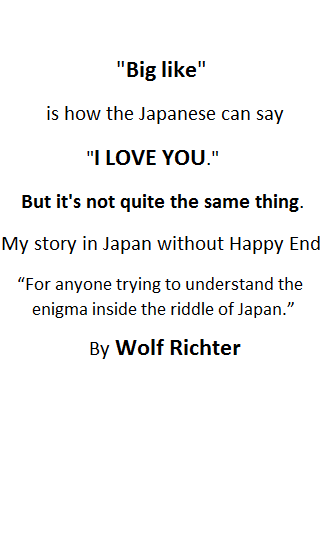 Wolf refers to the latter. However the former is more important and defines affordability – what people are actually paying. Vacant apartments are relevant only to new household formations and those wanting to change apartments. 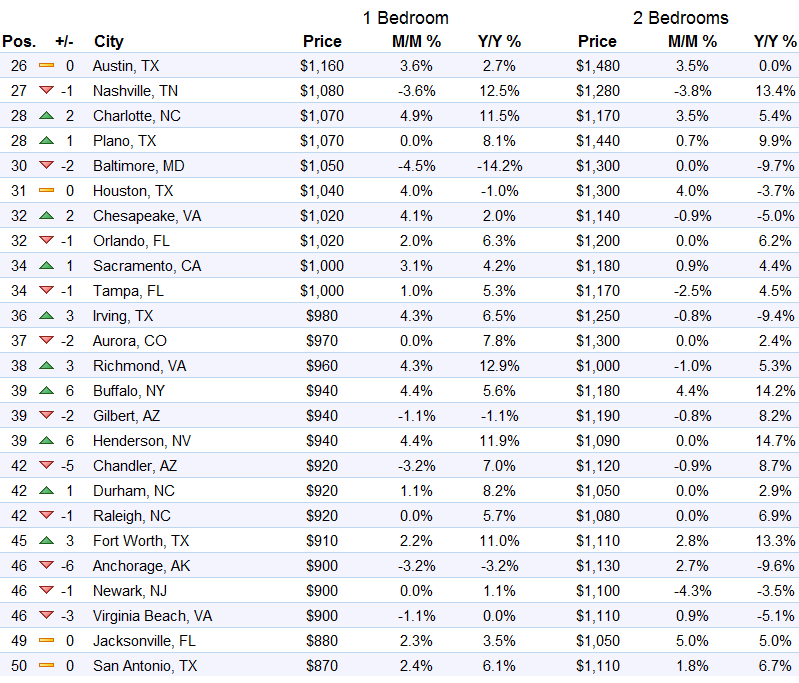 It is not healthy that median vacant apartment asking rents are higher than the median income. It restricts growth. Rent control is one cause restricting mobility of existing renters. The other more important cause is lack of new supply which, in large part, is due to NIMBYism. If you have a bucket that is 72% full and you can only use 28% of it at any given time to carry water it takes over three trips from the well to collect the equivalent of one full bucket of water thereby increasing the work/price/cost of the full bucket. Curbed SF doesn’t cite their source and it refers to average, not median, “salary”. Mine is from Transparent California, refers to the median and is “total pay” not “salary”. SFUSD teachers earn a salary, overtime, “other pay” and “benefits”. Benefits include full medical coverage, life insurance, disability insurance and a defined benefit retirement package. California has the highest benefits of any State ranging from 20-50% of salary. Any of the rest of us need to pay those costs with after tax dollars. Go find a company willing to provide you with a defined benefit plan or try to buy one from an insurance company…just doesn’t happen any more. Finally, why is a teacher the measure against which median rent is measured? How about fast food workers, airplane mechanics, social workers, baristas, pizza delivery people, gas station attendants, sonogram technicians, hospice workers, gardeners or any of the other hundreds of jobs we rely on daily? Teachers contract for 184 days a year not 365. I have nothing against teachers, I just don’t think their salary is a good measure, although judging from the reaction here an emotional one. Emotions like that result in guys like Trump becoming POTUS. Good of luck with that. This year, the rent increase allowed on rent control buildings is 1.6%. This is about in line with CPI, and about in line with the current national average rent increase. So it’s a myth that rents in rent controlled buildings don’t increase. Buildings completed after 1979 are NOT rent-controlled. Single-family homes and most condos are NOT rent-controlled. Other units such in-law units may also NOT be rent controlled. So most of the buildings that are less than 40 years old, most condos, and most single-family homes are market rate buildings. This includes ALL of the buildings emerging from the current construction boom. When you move, you automatically move into an apartment at MARKET RATE, even if the building is 50 years old. So you might live in a rent controlled building, but the first year, you pay market rate. It’s only afterwards that rent control keeps rents from rising faster than the allowed amount, pegged on the US inflation rate. Renters tend to forget that property taxes must be collected, never a part of the discussion. Over 25 years in California, Rent Control has proven itself to be the only means of controlling the inflationary spiral of rents ruining our economy. None of the evils predicted by its opponents have come true. It’s a class war thing. Naturally predatory landlords would prefer to gouge their tenants, so they invent myths. San Francisco’s rent ordinance is perennially blamed by critics for its high rents. However, rent control doesn’t make rents rise, that’s like blaming a fire on the presence of a firefighter. huuuuge smile, Mr Walter Map. i love your pit bull ways. Renters have Rent control. Property owners have Prop. 13. What are you complaining about? Looks to me as if the new gen EV’s will run on coal, thus commuting is back in vogue? By definition, electric vehicles run on electricity, not coal. Your difficulty is that a great deal of electricity is still generated from coal, rather than from renewable sources, and not actually with electric vehicles per se. My chauffeuse assures me the Bentley runs on electricity generated from solar, for example, and not fossil fuels. Umm, it appears coal is at 52wk highs while solar is plumbing new lows? In the US, the share of coal in the power generation mix has plunged from around 58% in 1990 to just 32% now. 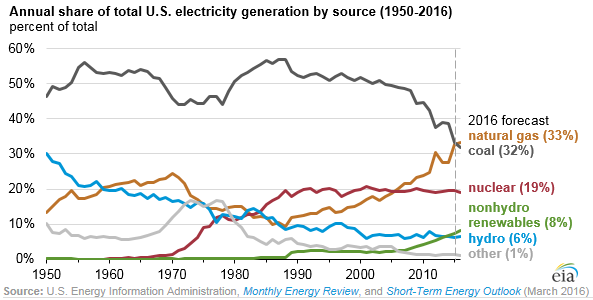 The use of coal by power generators continues to plunge, replaced by natural gas and renewables. Natural gas is dirt cheap in the US. And the introduction of the Combined Cycle Gas Turbine (CCGT) in the 1990s was a sea change. They are about 65% efficient. They killed the price advantage coal used to have. Looks like gas production is competing with the Federal government as an employer. I guess they’re not happy about that. An excellent graph. Thank you. The conversion to gas certainly helps, but likewise it certainly does not help nearly enough. It’s pleasing to see that the share attributable to renewable sources continues to increase, but at this rate they won’t dominate the market until the next century. Given the rate at which climate change is already occurring that will be far too late to prevent very bad things from happening. Facts are such stubborn things, but in such circumstances reality cannot be gainsaid. Could this be temporary as we await the wonders of artificial intelligence? Will Wall Street reap new riches when the Federal Reserve asks Congress for permission to buy equities? The bubble must be blown bigger or there could be unpleasantness. The coming expansion will again favor these charmed coastal enclaves. The flyover deplorables can simply be medicated to maintain calm. Banksters have been using this threat on governments since before Philip the Fair. He had them executed, so the threat isn’t always successful. So meanwhile, I find a place we like in the Bayview, its a house with a yard they’re listing a 3br 2 bth even though two of the bedrooms are small and one can’t really be considered a bedroom. They’d originally listed it as $4200 but had come down to $3900. It had been listed for over a month since the decrease so I contacted the property manager and said if they’d do $3500 we’d move in that weekend. She said she couldn’t do that I said okay and that was that. Two days later she called me back and said she’d like to meet us that maybe she could negotiate. The owner prefers not to have techies (the only ones who would pay that) and we seemed like good candidates since we’re a family that has to stay together. She met us, loved us and tried her best to convince the owner that we should be the tenents because if they had to wait any longer that would account for the discount we wanted. But the owner said no go. Low and behold, our current landlord/property manger delivers the lease agreement to us to sign or deny and it says $3200, the rate they absolutely would not do. Too many people not renewing and no one moving in I assume so we sign it and count our inflated blessings even though paying rent makes me fell like an idiot every month. In other news, the property in the Bayview has had another price drop ($3795) and is still empty a month later. Some of these landlords are greedy and are holding out. They’ve overpaid for investment property’s and done extensive renovations (The Bayview property last sold for $750K and had at least 100K of renovations) but now can not collect the rent they thought they would get. That’s a summarized version of my experience but its clear that things are slowing down. We’ll see how long these owners can hold out without collecting rent. Thanks! Excellent boots-on-the-ground info. I hope every SF renter reads it. You better be making a ton of money. I pay 1K/mo (6 years now, never an increase) for a 2bd/1ba house on a bit of nice land in one of the most beautiful places in the world – no lie. Salary north of 100K. Lots of people are going to learn the hard way its not about what you make, its about what you keep. There are three of us. Me, my husband, and my sister. We all have good jobs. We all save just fine. Lol, thanks for assuming we dont. I can’t speak for others paying these rates though. Here in the center of Houston, by one of the richest neighborhoods in the country (River Oaks), our rent was dropped 20% in July! 25,000 “luxury” apartments are coming online in 2017. Only 55% occupancy of new (since 2015) luxury apartments already completed. Known as “inside-the-loop”, apartments are advertising 2 months free, free iPad, etc. I believe the worse is yet to come given collapse of oil and natural gas, as well as the slowdown in health-care spending due to Obamacare – Houston has the largest medical center in the world. And, just found out one of my best friends, and scores of coworkers were laid off two weeks ago at one of the largest hospitals. The Medical Center is also inside the loop, with thousands of apartments and condos being constructed in that area. I was born and raised in Houston and was there until 4 years ago so I know those neighborhoods. When a friend told me how much they were paying in rent it absolutely blew my mind, because well, it’s Houston. It’s supposed to be cheap. That’s when I knew it was inflated everywhere. Here in sacramento, 100 miles outside of SF its a mad house. Rents continue to increase, especially for apartments. There are no big construction projects in the horizon unless you live downtown or near downtown. It the suburbs its every man for himself. 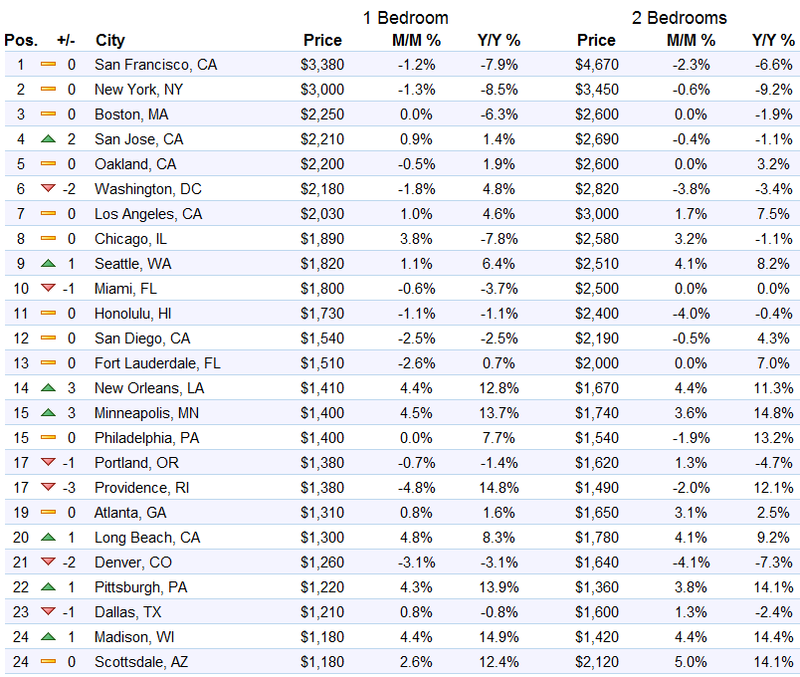 Lots of SF transplants move here to get away from high prices and our increased rents are nothing in comparison still. Also lots of investment firms are buying up old apartments, slapping some paint on them and they turn into luxury condos or high end apts and jack up rates 20-30 percent on average. Since average incomes do not match the bay areas lots of people are struggling to find decent housing. Wolf, the reason landlords offer concessions instead of lowering rents is not (just) because it looks bad. It’s because the next year, when the landlord wants to raise rents, s/he is raising it from a higher number. We gave up our $3,800.00 small two bedroom apartment in San Francisco and moved less than one hour east. I now own a 3,000 sq ft 4 bedroom, 3 bath home with 2 car garage and my mortgage is $1,800.00 a month. The house is increasing in value which is money going into my pocket. BART is close to opening a new line 5 mins from the house. As with the city, there are not so great areas of Antioch and Brentwood but also some beautiful newer neighborhoods filled with large homes. And the best part is we are 1 hour from the city when we want some city time.